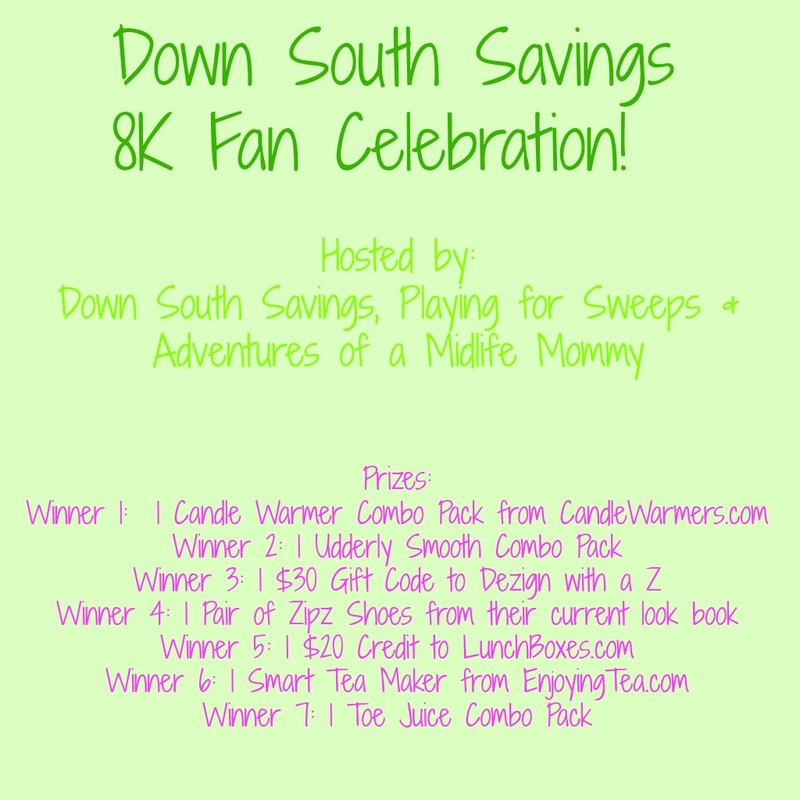 Down South Savings is has reached 8000 fans! 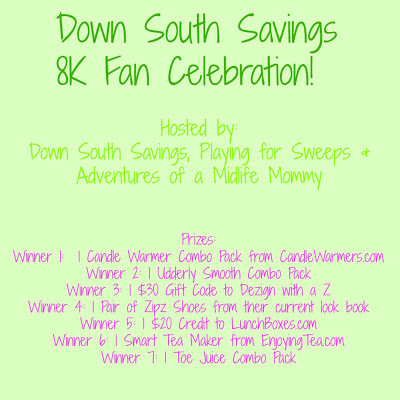 To celebrate she is hosting this fabulous giveaway with 7 great prizes for 7 lucky winners! If you would like to be in with a chance of winning one of these prizes just enter using the Rafflecopter form below! Giveaway Ends 11-8-12 @ 12:01 am EST and is open to US residents only. Please enter on the Rafflecopter form below. Good Luck to you all and thank you for supporting us in what we do! 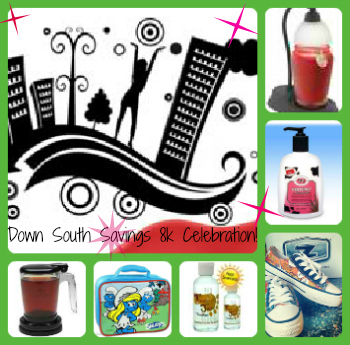 Disclosure: All reviews written by Down South Savings who received the mentioned product for review purposes only. No other monetary compensation was received. All opinions are those of Down South Savings and may differ from those of your own and those of the bloggers participating. 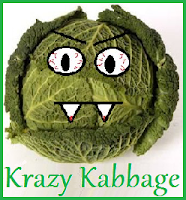 Down South Savings nor Krazy Kabbage or other participating blogs are responsible for sponsor prize shipment. I'm most excited about the candle warmer!